INDONESIA: Vestas is the wind power partner in an ambitious proposal to build a 6GW wind and solar plant in Western Australia that will supply clean electricity to Indonesia via subsea cables. 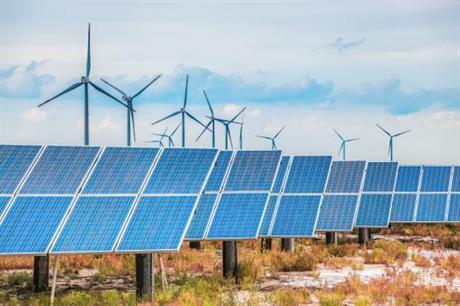 Other partners for the Asian Renewable Energy Hub (AREH) include renewables developers CWP Energy Asia and InterContinental Energy, plus subsea cable manufacturer Prysmian and offshore contractor Swire Pacific Offshore. Although the electricity will be generated in Australia from 4GW of wind capacity and 2GW of solar, the generating equipment will be manufacturered in Indonesia. This will create a new source of skilled, hi-tech jobs and develop a local supply chain, said AREH. The target date for completing the hybrid project is 2025. No indication has yet been given on the type and capacity of wind turbines. "We spent two years investigating the entire north-west coast of Australia, and found this incredible location," said InterContinental Energy’s managing director, Alexander Tancock, of the project’s proposed site in the East Pilbara region of Western Australia. "It has a unique geography and topography that gives it far higher wind and solar resources than the average in that area. And those resources are perfectly complementary, with lots of sun during the daytime and high wind speeds in the morning, evening and night," he said. "That is why we can deliver such competitively priced power to Indonesia."